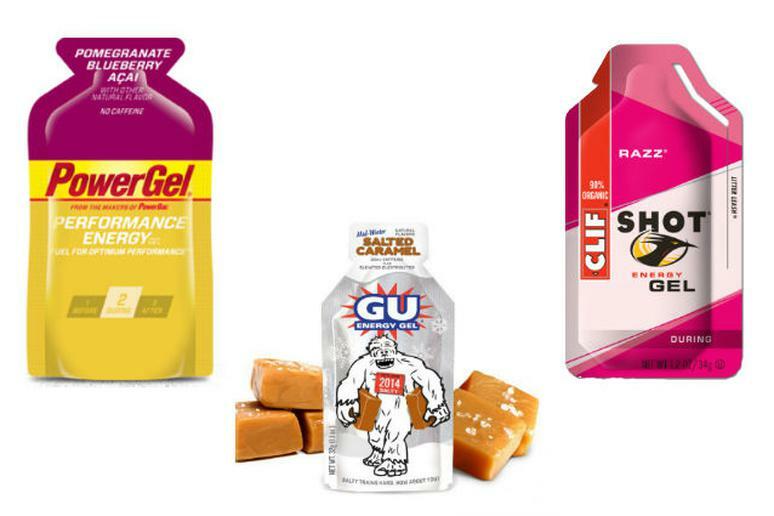 From drinks and gels to chews and bars, as an endurance athlete you have many options when it comes to in-race fueling. Not to mention, all of the many different brands that offer these types of products. With so many different choices to consider, if you haven’t already found the tried and tested energy supplement that works best for you, figuring out where to start might feel a bit overwhelming. As noted, there are several different product types that you can use to refuel your carbohydrate stores while training for or racing in an endurance event. But here, we are focusing solely on gels and chews; arguably the most popular forms of energy supplements for most endurance athletes. Before we reveal our list of the best gels and chews, let’s first review why energy supplements are important, how they work and what ingredients might be best for optimal performance. While training for or racing a long-distance event your body relies mainly on carbohydrates that are stored in your muscles (the faster you run, the more carbohydrates you’ll use). However, your muscles can only store a limited amount of carbohydrates. According to Jeff Gaudette, running coach and owner of Runners Connect, at a half marathon pace the body will burn up stored carbs in about 90 minutes and at a marathon pace, in about two hours. And he points out that if you’re not an elite athlete, this threshold is probably lower. Therefore, energy gels are important for the fact that they will prevent you from completely running out of fuel during endurance events that last longer than 90 minutes by replenishing your carbohydrate stores. Yes, energy gels provide your body with extra fuel so that you can continue racing during say, a marathon or a triathlon. But what many gel and chew labels don’t point out is that the carbohydrates that you consume from those products don’t necessarily replace the stored glycogen in your muscles. The process that allows your muscles to absorb carbohydrates is rather lengthy. So instead, when you consume a gel the glucose (a type of carbohydrate) is absorbed into your blood and in turn energizes your mind (our brains run on carbohydrates stored in the blood), which helps to eliminate feelings of haziness or exhaustion. Ultimately, in race-fueling is certainly necessary for the purpose of replenishing glycogen, calories and electrolytes that are being lost while racing, but instead of helping to refuel your muscles, more so they help provide an energy boost for your mind. The most important thing to remember when choosing an energy gel is that ultimately, the most optimal fuel is the one that works best for you. What constitutes “the best” is different among every individual. You will likely have to test a few different fuel sources before you find one that you like (in terms of flavor) and that also helps provide the best performance enhancement without upsetting your stomach. Maltodextrin is the most popular ingredient used in gel and chew supplements. It is a complex carbohydrate made from a chain of simple sugars. Despite being a complex carbohydrate it’s widely used because the sugars are broken down and digested easily. 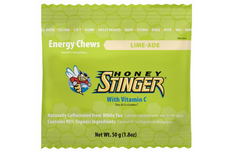 Many gels and chews also contain glucose, sucrose and fructose (simple sugars). These carbohydrate sources are sometimes included in ingredients like cane syrup, tapioca syrup or even from fruit sources like dates. When choosing an energy gel, you may also want to consider ingredients like sodium and electrolytes for replenishing salt and other important minerals lost through sweat, and caffeine for an extra boost of energy. As mentioned earlier, since what’s best for one athlete might not be the right option for another, there isn’t necessarily a definitive ranking of energy supplements. Instead, we’ve highlighted our ten favorite brands (based on personal use, ingredients and essential extras like caffeine and electrolytes) and included a list of each product’s most important specs based on the nutritional information provided on each brand’s website. Use this list to compare and contrast products so that you can test them based on your own personal needs until you find the supplement that works best for you. Click here to see more of the best energy gels.